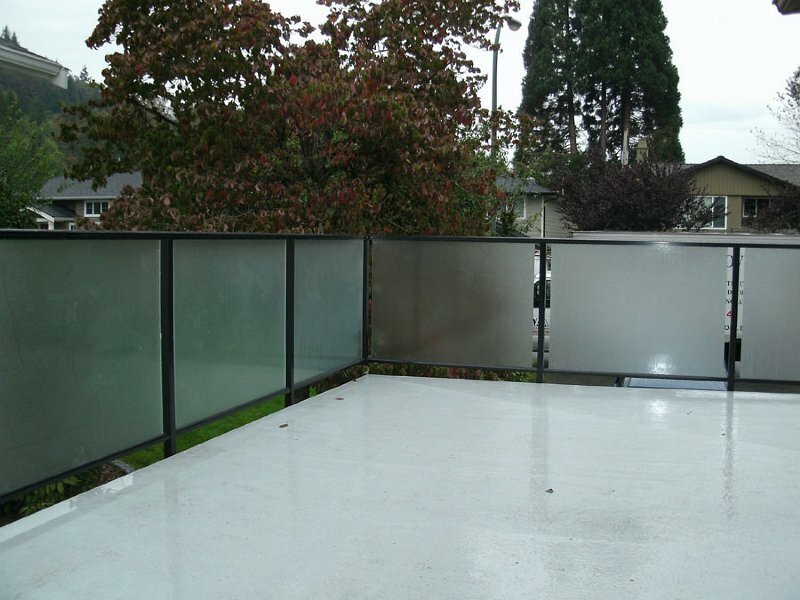 An exciting way to enhance your new or existing outdoor living space at home, is with our high-quality, picket or glass panel, powder-coated aluminum railing systems. These beautiful railings will make your deck or patio stand out and provide years of safe and enjoyable outdoor living. Why choose NewPort Aluminum Railings? Provide a lifetime of no maintenance. Enhances and expands your existing outdoor living space. A large number of designs and colours are available, that are sure to meet your needs. Combines structural integrity with an esthetically pleasing appearance. Railing systems may be integrated with our aluminum or glass patio covers. 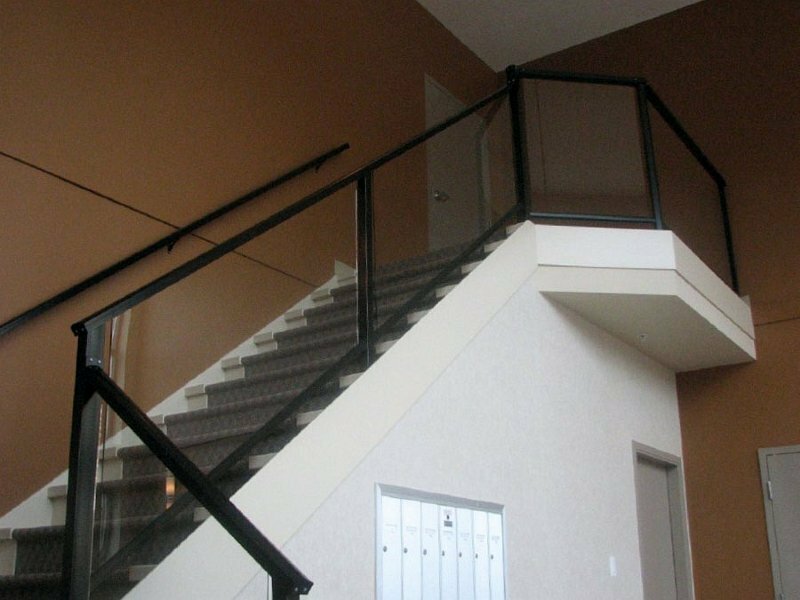 We provide professional railing installation with guaranteed quality and workmanship. 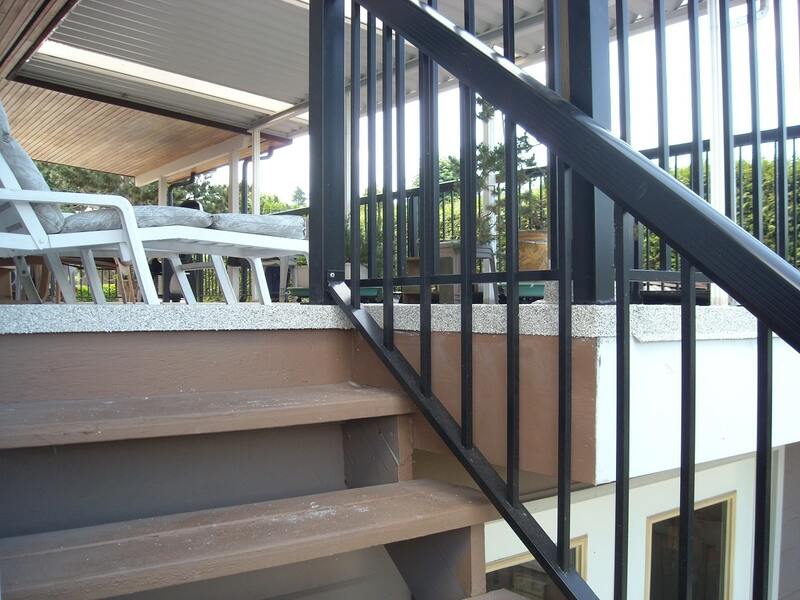 High quality, custom designed glass or picket aluminum residential railing systems. A variety of designs include picket, glass insert with or without top rails, low profile and decorative. Railings are top mount, fascia mount or a combination of both. In addition to our standard colours, custom colours are available to allow your railings to blend in. Weather Resistant and Long-Lasting to Withstand Extreme Weather. All railings are powder coated with durable weather resistant paint to ensure a long lasting finish providing a lifetime of no maintenance. Stainless steel fasteners are used which do not rust and are concealed from view so as not to be obvious. Our railing systems are engineered to meet or exceed North American standards, and combined with our professional installation, provided a safe and long lasting upgrade to your existing outdoor living space. Railing systems are completely screwed together using hidden stainless steel fasteners to improve strength, appearance and flexibility over welded railing systems. Stainless steel fasteners do not rust and provide strength and durability. Ask about our built in flexibility option to ensure any future expansion of your outdoor living space can be integrated with minimal change and cost. Do you have a particular design in mind? Are you interested in a standard design or are you looking for something unique. We will be happy to discuss all options with you. Once you have decided, we will custom build and professionally install your railing system for you. Contact NewPort Dry Deck today for a free consultation and make your deck stand out from the rest!